Today I want to share a strategy that has generated over $2 million of online sales in two years. I’ll let the numbers talk for me. On February 18th 2015, I was involved in one of the biggest Internet Marketing launches of the year. In the first 24 hours Youzign, which lets users create marketing graphics, generated $200,000 in sales. Ten days later the figure stood at $600,000, with over 10,000 memberships sold. Let me roll back the clock. I started working in the Internet marketing niche less than a year ago. It was a strategic decision. I wanted to learn everything I could about this industry so that I could apply these lessons to my own business. In this post I’ll share with you the most important lesson I’ve learnt. You will get access to the exact system we use to prepare for a six-figure launch. I’ll start with the not so obvious. The Internet marketing niche is based around the development, launch and sale of information products and software. Most products are targeted at small businesses and entrepreneurs and claim to do one of two things; save people time or make people money. Of course if you are preparing for a launch you need a product (something as useful as Ninja Outreach would be a good start). Unless you are lucky enough to actually have a product, which you can re-launch, you will need to create something from scratch. The good news is, with an idea, no technical skills and a few thousand dollars you can create a powerful piece of software. To learn how I’d suggest reading the article Dave wrote about hiring freelancers on Rich 20 Something. As you develop your product keep in mind that launches in the IM niche always include an upsell. This means you’ll need to break your product down into a few pieces. What you want to create with your upsell is a nice sales funnel. At the first stage you’ll be offering the core product. Your upsell will then give the user access to more features. 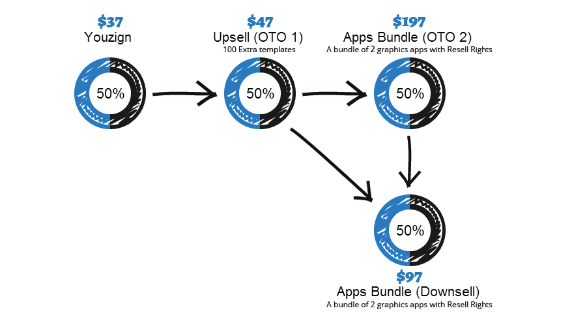 For software that uses any kind of template, the upsell will usually be access to more templates. Depending on your product an upsell could be the ability to geographically target people coming to a website, run split tests, or access an exclusive mentor group. Now you’ve got a product you need to pick a date for the launch. Pick a day. We normally go for something mid-week: Tuesday, Wednesday, or Thursday. Then give yourself at least a month to prepare. These four weeks are going to be busy. You’ll need to create a sales page, set up a Joint Venture (JV) page and reach out to affiliates through launch calendar sites, Facebook groups, and finally by email. A good JV page will provide all of the information (and incentives) an affiliate needs to promote your product. At a minimum this will include things like graphics for banner ads, sales videos, and email swipes. At the top end of the IM niche prizes can run into the tens of thousands of dollars. We’re talking Maserati’s, $20,000 cheques and weekend escapes to Vegas. However, big prizes are not an essential part of a successful launch. A good product that converts will naturally attract affiliates. That doesn’t mean you can avoid giving away a prize, but it means you can reduce the prize money. The cash prize for Youzign for example was just $4,000, which is very small by industry standards. We start every launch by creating listings on launch calendar websites. 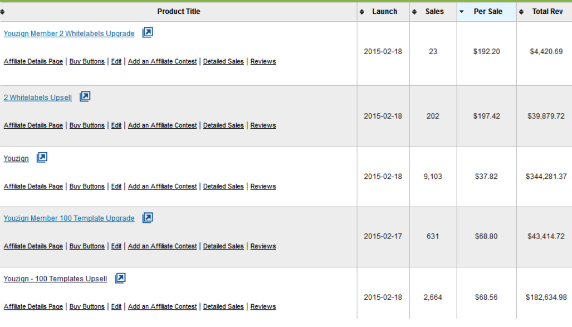 These are websites that affiliates visit to learn what products are being launched in the IM niche. When preparing for a launch we always create a premium listing on Muncheye. I’d recommend you do the same, as it will get your launch more exposure. In addition to the launch calendar sites we network through forums and Facebook groups. Neither process is very complicated, though I’d really suggest reading this post if you need encouragement or tips on how to network effectively. 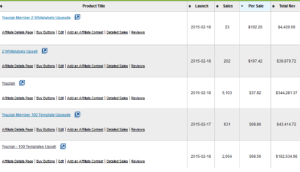 Targeting affiliates on forums like Warrior+ can be confusing for a first timer. To save ink and explain things more clearly I’ve created a short video that you can access here. Facebook groups are of course a lot simpler to navigate. Here is a list of some of the biggest groups focused on the Internet marketing niche. The methods I listed above for finding affiliates are the easiest to replicate. Of course the real key to getting affiliate support is strategic networking and putting in the time to build strong relationships. For more ways to find affiliates for your product launch you can check out this post. 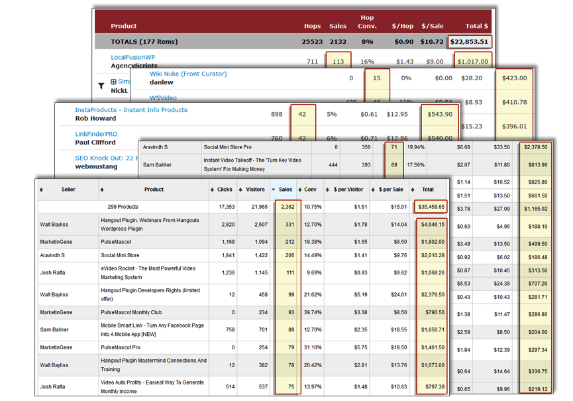 The sales page is the most important part of your product launch. It’s actually more important than having a good product, so you need to get it right. The secret to creating high converting copy is to hire a copywriter (sorry, there’s no magic formula). Unfortunately, copywriters are expensive. You might not have the budget, or if you have the budget you might not know where to turn. For the purpose of this section, I’m going to assume that you are going to write the copy yourself. Unless you have experience or you’re a natural marketing ninja this is going to be difficult. I’m not going to pretend I have the answers for you. Copywriting is a skill that takes time to develop. If you’re determined to write your own copy I do have a few suggestions. To start with study what works. The obvious site to visit has to be Copy Blogger. Other sites I’d recommend bookmarking include Copy Hacker and Enchanting Marketing. I’d also suggest turning off the TV and reading a few books. David Ogilvy and Eugene Schwartz come to mind. Both of these copywriters, now deceased, can teach you a lot about creating high converting sales copy. As an aside, regardless of if you plan to write your own sales copy, I would spend some time studying copywriting. You’ll learn a lot of skills you can apply to your professional life. For example, I used some copywriting hacks to slash the bounce rate on one of my sites by 60 percent. Regardless of how well you prepare you will get refund requests. To give you an idea of just how many requests you can expect, we budget for 10 percent of total sales. 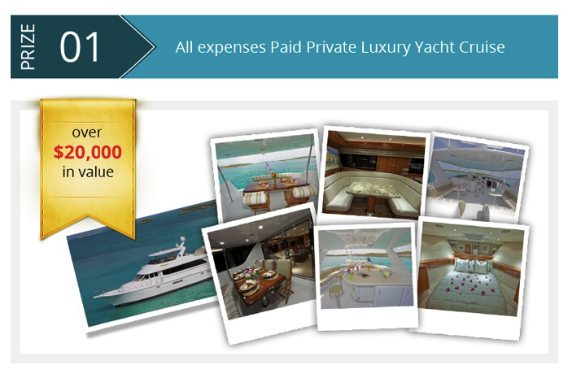 For a launch like Youzign this equates to $60,000. Reducing that rate by just one percent is an extra $3,000 in net profits. It’s a lot of money to loose (just ask the affiliate who made the sales). To reduce the number of refund requests you get you need to offer great customer support. This is especially important in the first 72 hours after launch when the majority of your sales will be generated. It never hurts to state the obvious. You need to have the human resources in place to respond quickly to support questions and have the capacity to actually resolve problems. This is something you need to consider if you are hiring a freelancer to develop your software (good communication is essential). I can’t fit everything I’ve learnt in the last nine months into a 1,500-word post. What I’ve shared with you is a solid starting point for building a successful business in the Internet marketing niche.